Big problem or a fraction of the world’s plastic consumption? You decide, but know that single-use plastic straws are a recent target of environmental activists. As restaurants debate whether to voluntarily dole them out and lawmakers feverishly write bans against them to protect the ocean and sea life and to reduce stress on landfills, alternatives to plastic straws are plentiful. Some are downright gifty. Let your loved one sip in style with a selection of reusable, luxury straws from Tiffany, because who doesn’t love to see a blue box with their name on it come gift time? One, in sterling silver covered in rose gold vermeil, comes as a crazy straw with a twist at the bend at the top. The straw comes with a tiny band of the Tiffany blue in enamel, just to make sure people know its origins. $375. Another lets the sterling silver shine with a little monkey crawling up a vine. $425. The disposable paper varieties of straws are enjoying a rebirth. Some are more festive than others. Amazon has an ample assortment in party-worthy metallics, colorful dots and chevrons, and special-occasion themes like black-and-white patterns or baby blue dots. Lots of brick-and-mortar stores are into paper straws, too. Prices vary. In addition to metals, from Tiffany level to more affordable in stainless steel, some materials not routinely associated with straws have become more widespread amid the plastic-straw debate. Bamboo is having a moment all over the place, in utensils, plates — even toothbrushes. If you think bamboo straws would go unused by your giftee, paper varieties in bamboo prints are available by the box. Prices vary for bamboo straws. One company, Brush with Bamboo, sells a cute bundle of 12 tied with string, for $20. 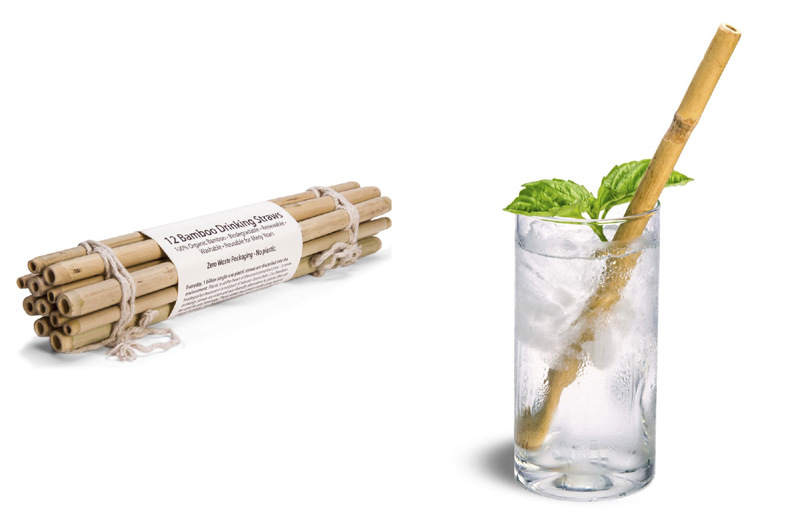 They are grown organically and artisan-made in northeast India, where bamboo straws are traditionally used to drink beer. As for glass, well, some companies insist their offerings are shatter free. A box of four , with a little cleaning brush, goes for $7.99 on Amazon. Two are bent. Ecostraw.com sells a nice variety for all types of drinks. They may not be the longest lasting but many are no-GMO, fully biodegradable and come in wide sizes worthy of bubble tea. One version is called Hay! Straws and comes tall at 7.75 inches, in a cute box of 100, for $8. Shorter ones are also available. They’re made from wheat stems and are sold with a warning to sip through them, not ingest them. 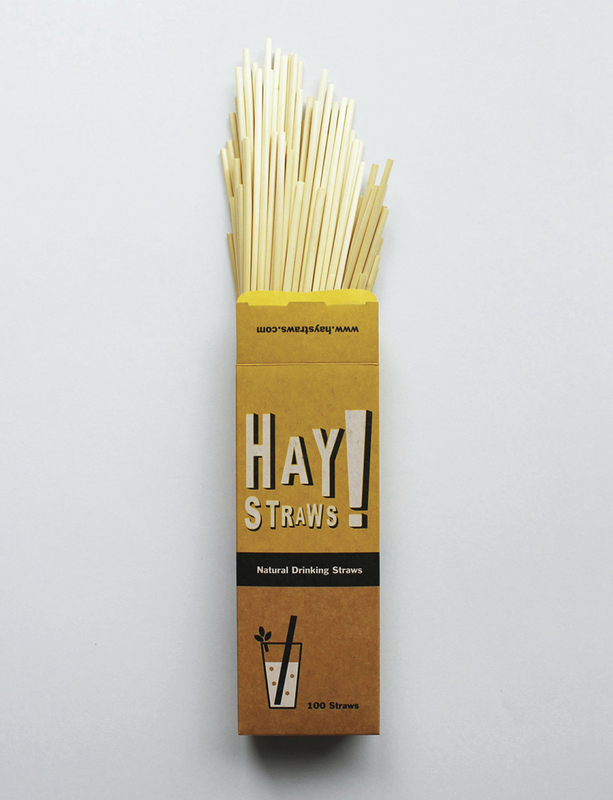 Another company calls itself, yes, Pasta Straw. It says it’s working on a gluten-free version. So what’s the draw? Well, Pasta Straws says on its website that paper straws biodegrade in 30 to 60 days. Pasta Straws do it overnight and are edible, the company said. A sample pack wrapped in paper with a company sticker includes 24 and goes for $7.99. The problem: Generally, pasta straws don’t last as long as, say, glass or metal. Upside, they don’t get soggy like paper straws.